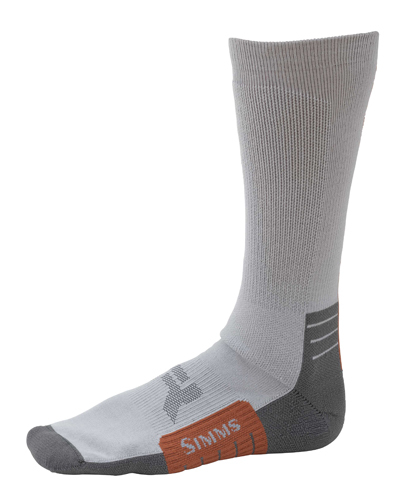 The new Simms Guide Wet Wading Sock is a perfect compliment to your wet wading ventures. These quick drying wet wading socks are comfortable and cushioning. Additional features include right angle arch support, quick drying and hydrophobic yarns and comfortable and cushioning and anti-abrasion performance when wet wading. I purchased these wading socks to go with my new Simms Wading Boots.They worked very well and are the exact thickness I needed. I would recommend these.